What defines ultra rare Disney pins? Three criteria are used to define collectible Disney pins, two of which can be applied to judging whether a pin is ultra rare or not. Disney pin trading began as part of the 1999 Millennium Celebration at Disney parks around the world. Most Disney pins were created in limited editions numbering between 100 and 5,000 of each type of pin. While the numbers varied with some pins being more common than others, pin trading was designed with the hobbyist and professional collector in mind. The rarest of Disney pins are those that came in limited edition and are owned by collectors not willing to trade. These are typically location pins such as the Disney Cruise Line special edition pins and event pins such as those associated with Star Wars Weekends and more. Mistakes, though rare, are also made and that makes those pins collectible. There is no comprehensive list detailing the exact value of each and every Disney collector's pin available. Most pins retail between $6 and $7, but the truly limited editions such as the jeweled pins retail at a much higher price. You can learn a lot about pin trading from Internet resources and guides you can purchase. But you are the final judge of what is valuable to you and what you are willing to invest. Disney Online Pin Club and Store - Pin traders take their hobby seriously and Disney recognizes that with a comprehensive site featuring released pins, future releases and more. Official Disney Pin Buying Guide for Beginners - The eBay buying guide provides direction and insights into pin trading for novices. 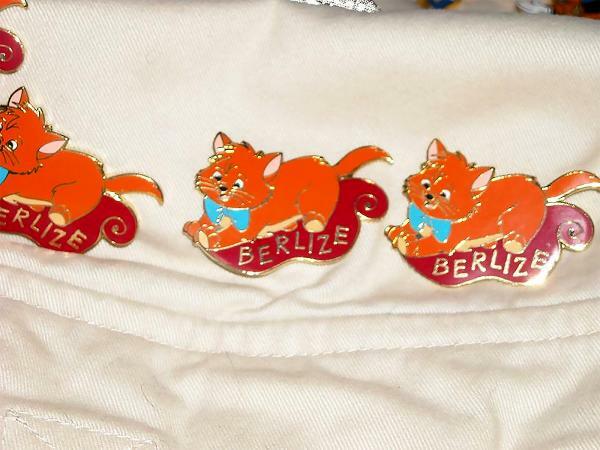 DizziPinz - The site offers a pin trading guide with information on how to get started, getting more involved and learning about the online world of Disney pin trading. Tomart's Disneyana: Guide to Pin Trading - A comprehensive guide to pins and pin trading. Multiple editions of the guide are available and not all the data is repeated from one edition to the next. For most collectors, the rarity and value of the Disney pin collection is found in what the pin means to you. When you care about the character, the pin or where you picked it up, then you have an addition for your ultra rare Disney pins.